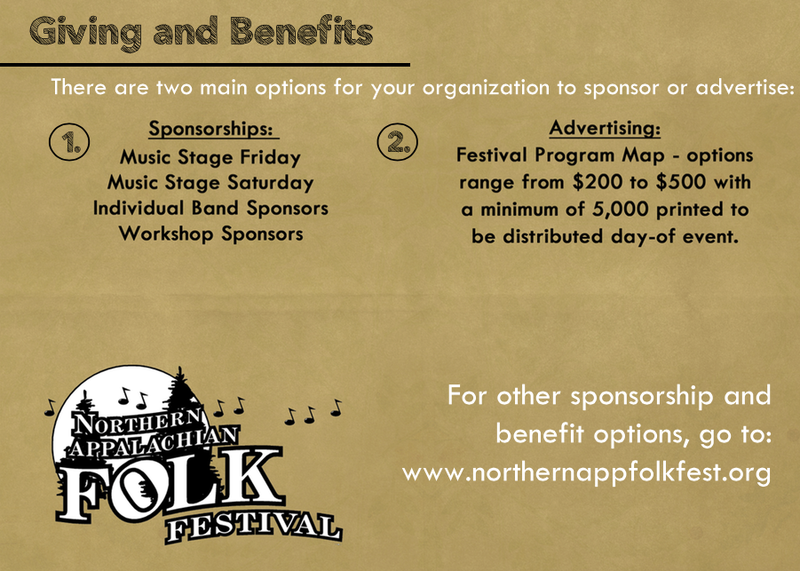 The Northern Appalachian Folk Festival is an annual, free, event. It is organized by a volunteer steering committee that s dedicated to bring good music, food, and entertainment to Downtown Indiana. This process cannot succeed without generous contributions. Please see below on how you can support!